I'm a wee bit late in posting this, there's been quite a lot going on in August so far! 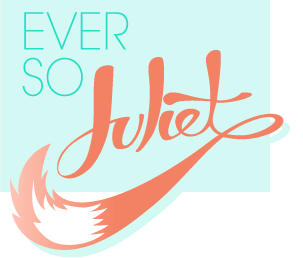 Anyway, here's what happened in July - a super chilled month! 1. Duvet days pretty much ruled the month! It would not stop raining, so weekends were full of cat-napping. 2. Finally saw Chariots of Fire, at the British Premiere no less. Perfect timing for the run up to the Olympics. 3. I love my garden so much! The rain has been very good for all of my plants. Here's my sweet peas (which I've grown from seed), twisting up a wee plant frame. We've also planted two trees (!) and my vegetables are growing. It's exciting! 4. I attempted victory rolls for the first time, after being inspired by the lovely ReeRee Rockette. I think I need a lot more practice though, I just look like I have furry bear ears on! 5. The most lovely lunch at the City Art Centre. Yum! 6. On the train to London (blog post about this trip tomorrow). I love the train, it's definitely my favourite way to travel down south. Especially if you go first class - free tea all the way! 7. I made thai green curry again & added in a LOT more chillies and garlic this time! We are growing jalapeño peppers in the garden, I can't wait to cook with them. 8. Riley has continued his garden adventures by climbing on top of the shed and exploring outside of our garden! Here he is, being king of the world. 9. Hanging out with my lovely friend Steph in London. She's been working abroad for the last few months - I've missed her! 10. My favourite Friday morning tradition! 11. My lovely pal Jude left The List to go and train to be a teacher. Work tradition is to give the leaver a personalised cover and I love his! He's a massive Harry Potter fan and an amateur magician.. it's super cool! 12. Craig & I on our six year anniversary! I love him so. I wish there were trains around here! It was always such a nice way to travel around while I was in Japan and I miss it ><; Looks like you had an awesome July though! 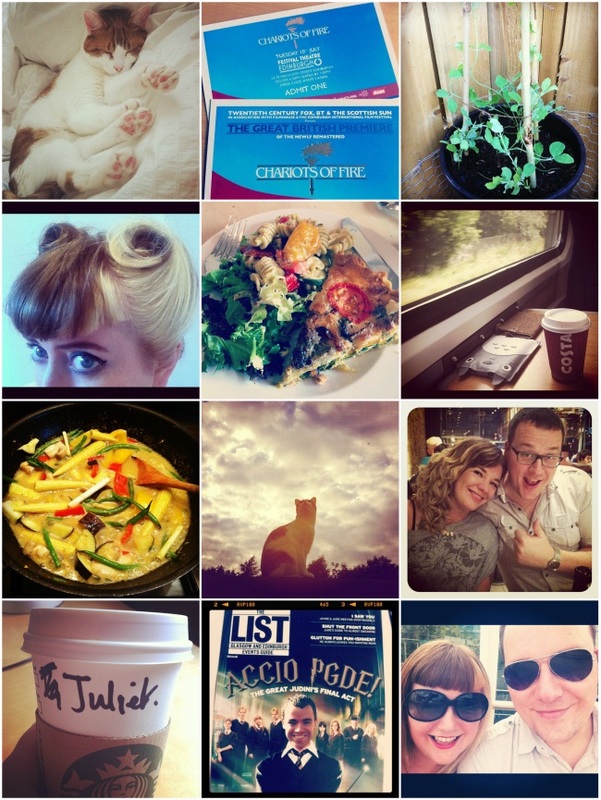 I love little instragram blog posts, it's fun to get a little snapshot of someone's life in pictures!